The primary differentiating features of AT&T's version will be a dual-core Snapdragon S4 (as opposed to quad-core Tegra 3) processor, as well as LTE connectivity. If you're wondering why AT&T is getting stuck with half the cores of the international GSM version of the device, you can look to LTE as the culprit. Basically, NVIDIA's Tegra 3 processor doesn't have any currently available radio configurations that will support LTE (though it will in the future), while Qualcomm and Texas Instruments have been the go-to choices for devices utilizing the new network technology. This is why AT&T's Galaxy Note is packing a Qualcomm chip instead of Samsung's in-house Exynos. Pricing and availability have yet to be announced. However, based on the launch-partner status AT&T has received, we're expecting it in the next couples of months, and with a price tag at or around $300 with a 2 year agreement. power of AT&T’s 4G LTE network. HTC One X will be one of the first phones in the U.S. to feature HTC Sense™ 4, the new version of HTC’s branded user experience that introduces ImageSense, a suite of camera and imaging features with improvements to every part of the camera. HTC One X will also be AT&T’s first smartphone with Beats By Dr. Dre™ Audio built-in to the hardware and software. Beats Audio on the HTC One X is enabled across the entire multimedia audio experience including apps, offering richer, more authentic sound on music, games, videos and movies. AT&T stores will soon carry Beats By Dr. Dre accessories for the first time. For more information, visit http://www.att.com/aboutus. 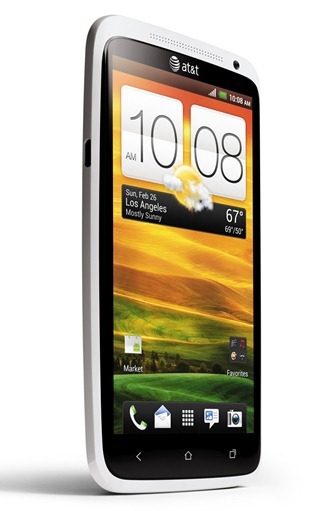 AT&T customers will immediately recognize HTC One X as the latest in smartphone superiority. The combination of 4G LTE, the nation’s largest 4G network and an unsurpassed user experience in audio and imaging, HTC’s leading design and plenty of power under the hood, will make this superphone a hit with customers of all types. Customers interested in learning more can visithttp://www.att.com/htconex. Customers who enjoy watching TV shows or movies on their smartphone will be amazed by the 4.7-inch 720p HD screen on the HTC One X which provides sharp screen images that appear detailed and visible from every angle – even angled up to 80 degrees – or connect the device to any TV using HTC’s wireless HDMI Media Link HD adapter** to enjoy content on a larger screen. The laminated cover glass and touch layer eliminates light reflection for superior sharpness and clarity, and is protected with Corning® Gorilla® Glass. HTC One X also features a beautifully crafted polycarbonate unibody design that showcases its clean lines and seamless construction. HTC One X is the first device from AT&T with Beats Audio integration built into the hardware and software, offering rich, full sounds with professional-grade sound engineering to play the music how the artist intended. Beats Audio By Dr. Dre provides a distortion-free sound at higher volume and rich bass at all levels for video, gaming and music. HTC One X is custom tuned for the best audio performance when used with Beats By Dr. Dre accessories**. With built-in software on the HTC One X, customers can connect it to a computer and HTC’s Sync Manager software automatically installs to your computer and once connected, makes it easy to transfer songs, artists and playlists from a music library. The new HTC Music Hub is also customizable to include customers’ favorite streaming radio services and music apps, making them easily accessible all in one location. AT&T will begin carrying Beats By Dr. Dre accessories this spring. 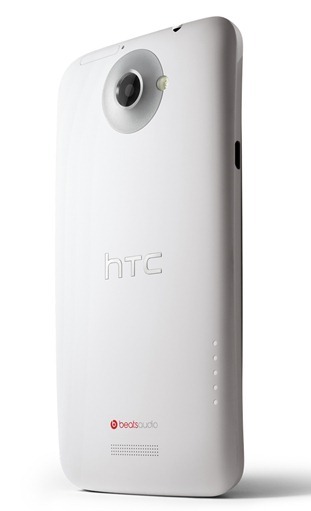 With ImageSense, HTC One X’s 8MP HD camera rivals traditional digital cameras with improvements to every part of the camera including the lens, sensor and software, while integrating the new HTC ImageChip. The combination reduces noise, removes color bias and enhances picture quality in photos and videos. More than just megapixels, its best-in-class f-2.0 lens with a backside illuminated sensor takes amazing pictures in low light and its quick launch feature makes sure you never miss an important moment. It takes less than one second to launch the camera from the lock screen and the camera’s autofocus locks in on your subject in under a second, to take nearly unlimited continuous shots simply by holding the shutter button. To ensure the best shot is captured, HTC ImageSense also introduces autoburst which will automatically take a burst of shots if the subject moves while you press the shutter button. For those torn between whether a moment would be better captured via video or in photos, HTC One X includes Video Pic so you never have to choose again – the device can capture pictures while recording video in HD and has the ability to capture a still image from previously recorded video. A high dynamic range (HDR) feature presents more contrast in captured photos and enables the camera to capture multiple photos from one instance, each with a different exposure level, layering the images together to create a single photo that combines the best parts of each for a more accurate range of light across the image. The 1080p HD video camera automatically removes jitters and lets you lock the focus on a moving object. Slow motion video recording is also possible at a maximum of 108 frames per second. The HTC One X smartphone’s next-generation 1.5 GHz Qualcomm Snapdragon™ S4 dual-core processor allows customers to run heavy duty tasks such as creating and editing homemade videos smoothly without any lag, while the 1,800 mAh embedded battery offers hours of uninterrupted entertainment time.